French legislative elections in June could endorse Macron’s message of change, giving him a real power base, while the long-serving Merkel faces polls in September that she is expected to win handsomely. 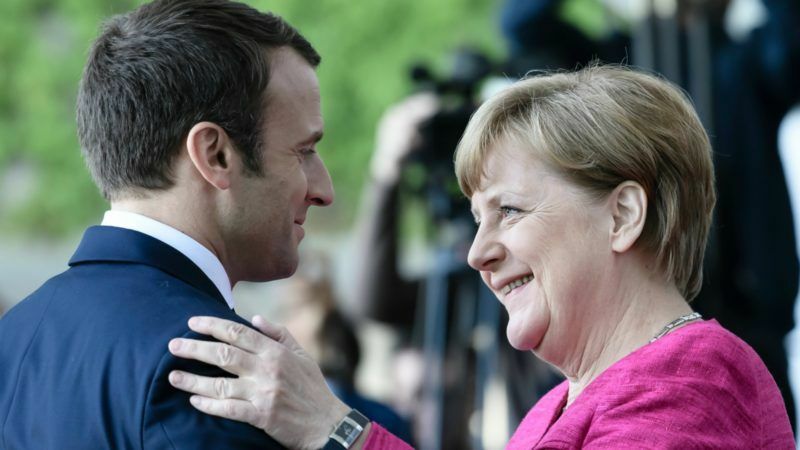 France’s new President Emmanuel Macron and German Chancellor Angela Merkel yesterday (15 May) vowed to give a new impetus to Europe, even if it requires treaty change, after Macron appointed a prime minister from the conservative camp. 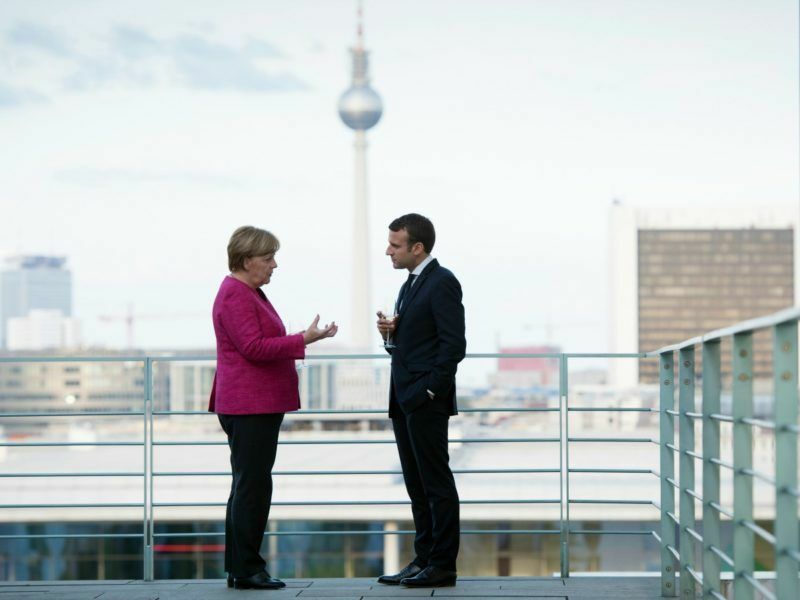 Visiting Berlin on Monday (15 May), Macron “did not push for major, ambitious reforms (of the EU) because he knows the chancellor cannot deliver until the elections in September”, said Judy Dempsey of the Carnegie Europe think tank. Merkel has pressed Macron’s predecessors Francois Hollande and Nicolas Sarkozy many times before for the changes needed to lift France’s underperforming economy out of the doldrums. The chancellor had the good fortune to benefit from the painful economic reforms her Social Democrat predecessor Gerhard Schroeder introduced. This year, unemployment in Germany, Europe’s biggest economy, should be around 4.0%, compared with 9.9% in France, according to the latest European Commission forecasts. “Before thinking about reform of the EU, France has to restore its partners’ confidence in it and provide guarantees on the budget,” said Charles de Marcilly of the Robert Schuman Foundation. “If you speak to the Portuguese, the Spanish, the Irish, they all think that France has to do its bit now like they had to,” said Dempsey, who has written a biography of Merkel. France’s budget deficit – the shortfall between government spending and revenue – has long breached the EU limit of 3.0% of gross domestic product (GDP). Given several reprieves by Brussels, the European Commission expects the French public deficit to still be above the limit at 3.2% next year. Germany in marked contrast will show a surplus of 0.3%. At the same time, Merkel will not want to press her new partner too hard, analysts commented. “There is clearly the will to encourage Macron, if only because with him in office, we have escaped the worst, that is the election of (far-right Front National leader) Marine Le Pen,” said Claire Demesmay at the German Foreign Policy Institute in Berlin. On Monday, Merkel said at a joint press conference with Macron that she was even prepared to consider the long-taboo option of EU treaty change “if it makes sense”. “It was typical Merkel – giving a joint press conference and saying we have to think about it and see what we can do,” Dempsey noted. During the presidential campaign, Macron made the case that a reformed France would go hand in hand with a reformed EU, made more responsive to the concerns of citizens who may have missed the benefits of globalisation. But revisiting the treaties to do that is a big hurdle, stirring deep fears it could open a Pandora’s box, with member states taking up other issues once thought to have been settled. It also needs unanimity among the EU-28 and that is impossible until Britain’s departure is complete and the 27 set about their own future. Macron’s proposals for a common eurozone budget and a finance minister to represent the 19-nation single currency area got a very cool welcome in a Germany which sees no gain in being responsible for any spendthrift partners. “Macron clarified his position, saying he did not want Eurobonds or the mutualisation of (eurozone) debt,” said Demesmay, referring to the pooling of funding and the build up of previous loans. “That was important in light of the recent criticism in Germany on this,” she added. 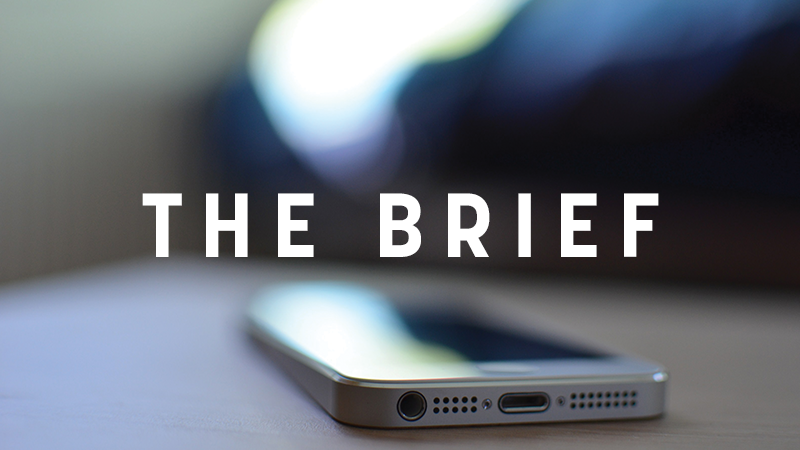 As for Brexit, with divorce talks expected to begin shortly after the 8 June elections in the United Kingdom, it is unlikely that will be much of a brake on the Merkel-Macron duo, analysts explained. “Brexit is going to take up time and energy but on that, there is a real German concern that there is a common position,” Demesmay said. Juncker said that even President Le Pen cannot destroy the EU. We don’t buy that, because she can.